Dr. Lobsand Sangay, Tibetan president-in-exile. Photo courtesy of Thupten Tendhar. 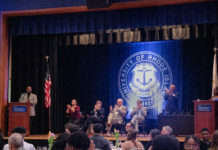 The University of Rhode Island, along with Yale University, will be visited by Dr. Lobsang Sangay, the exiled president of Tibet on his “Thank you, America” event tour. 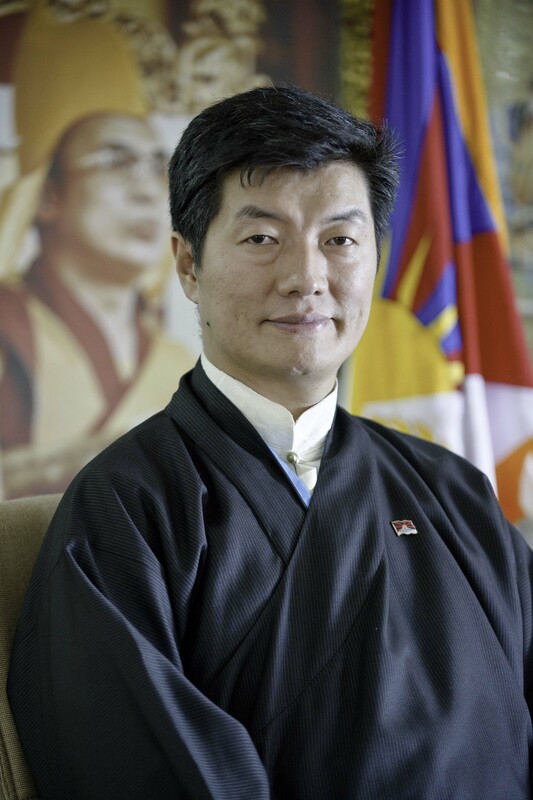 Sangay, of the Central Tibetan Administration will be coming to URI Alumni Center on Thursday, Feb. 14 to thank Americans for their support of human rights and democracy in Tibet. Sangay will also be discussing the nonviolence struggle, international relations of the Tibetan people and women’s rights in Tibet. The URI Center for Nonviolence and Peace Studies has set up this event to further educate students on the importance of nonviolence. According to Thupten Tendhar, a graduate administrative assistant at the center, many people in Tibet practice nonviolent demonstrations but are met with violence by the government occupying the state. Tendhar said that Tibetans, because of their frustration with not being listened to by their government, burn themselves as a last resort. According to Tendhar, there have been 150 cases of self-immolation in Tibet. Tibet has been occupied by China since 1959, when the Dalai Lama and most of his followers, about 80,000 Tibetans, fled to northern India. Tendhar, a Tibetan American, explained that Mao Zedon took over China in 1949 as a communist state and wanted to expand territory, so he took over Tibet. Under China’s control, Tibet has faced many human rights violations. This has been met with nonviolent protests from the Tibetan people under the example of the Dalai Lama. Sangay was voted into office in 2011. The Tibetan Government in Exile (TGIE) is the continuation of the legitimate government that was in effect before China invaded. Sangay governs from India but now is in the U.S. on his “Thank you, America” visit to express his gratitude for the support the country has shown him and his people. Sangay has visited Washington, D.C. to thank Speaker of the House Nancy Pelosi and over a dozen other members of Congress. Taylor Stickles, a senior at URI and the public relations and marketing coordinator for the Center for Nonviolence and Peace Studies, said that Sangay is coming to URI because of the work the center and Tendhar have done. 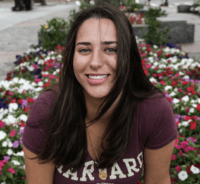 “Not every University has an established [nonviolence and peace] center, and not every University is able to pull in these international people that we do,” said Stickles. Paul Bueno de Mesquita, director of the Center for Nonviolence and Peace Studies, said that part of the mission of the center is to institutionalize peace and nonviolence education, but also internationalize it. The work the center has done has brought people from about 40 countries to train and study nonviolence at URI and at their home countries. Bueno de Mesquita said that he hopes people who train with them at the center bring the nonviolent concepts and ideas back to their communities. The work that the center does is very important to Bueno de Mesquita. However, he said that it is often overlooked.